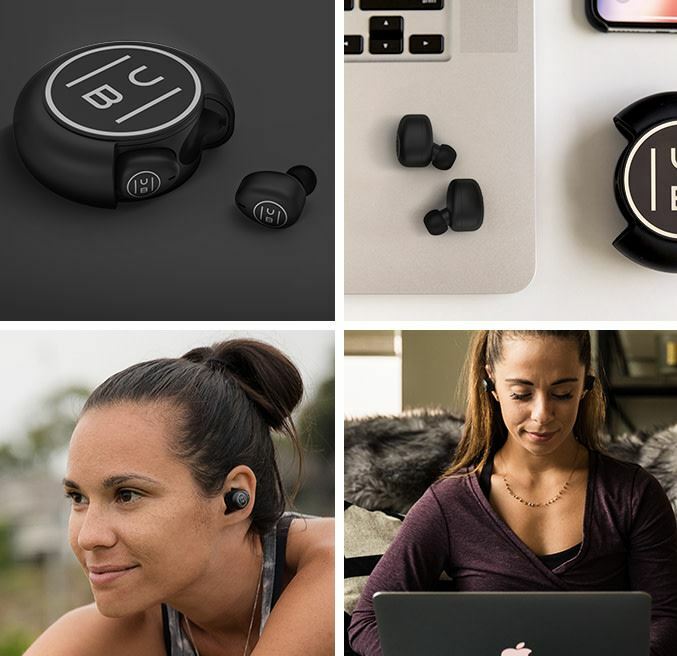 How many times can they reinvent earbuds? More than you might think. Because different earbuds are made for different people. Sticking some earbuds inside a charging case isn’t exactly a new idea. But extending that design to appeal to more than travelers and athletes? That’s actually a pretty novel idea. HUB HiFi are the creation of Discord Sound, a San Francisco based audio company. 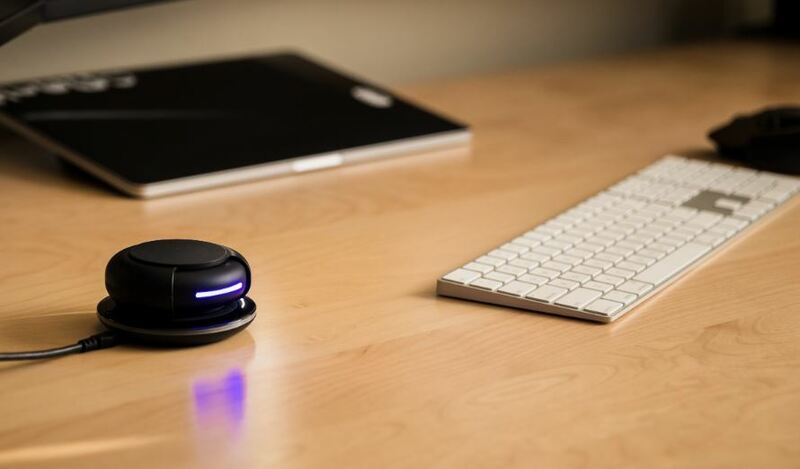 The idea behind the HUB is easy to wrap your head around; it’s about combining several wireless technologies into one form. Consequently, these earbuds were made to cover the essentials, and then go the extra mile. When it comes to essentials, the HUB is weather resistant, and it has an enormously large battery capacity. 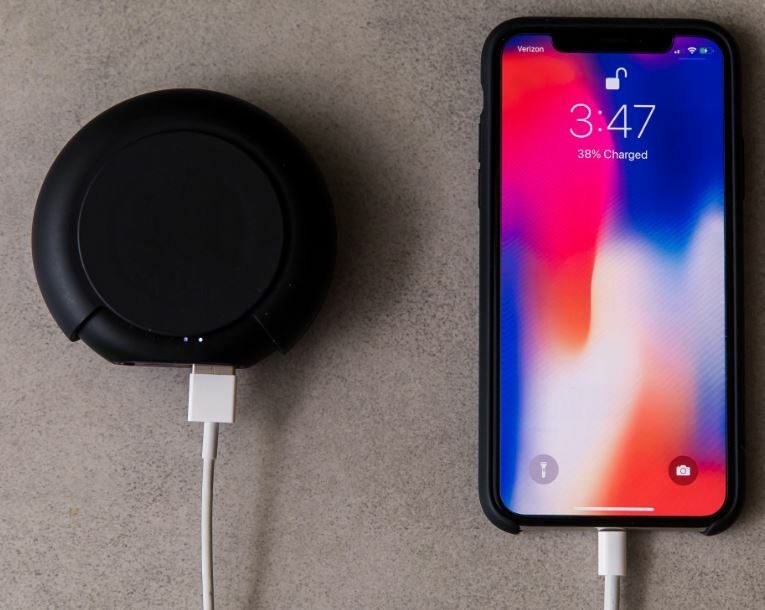 For going the extra mile, HUB can be wirelessly charged, and it has some totally unique technologies made specifically for canceling ambient noise. Moreover, the charging case can serve as a universal power station. But like all headphones, there’s no such thing as a perfect pair. It’s important to understand the specific strengths and weaknesses of earbuds in particular, and especially when they’re using a true wireless design. Because there’s a lot of room for error, which can quickly translate into poor sync between the buds. Or worse. 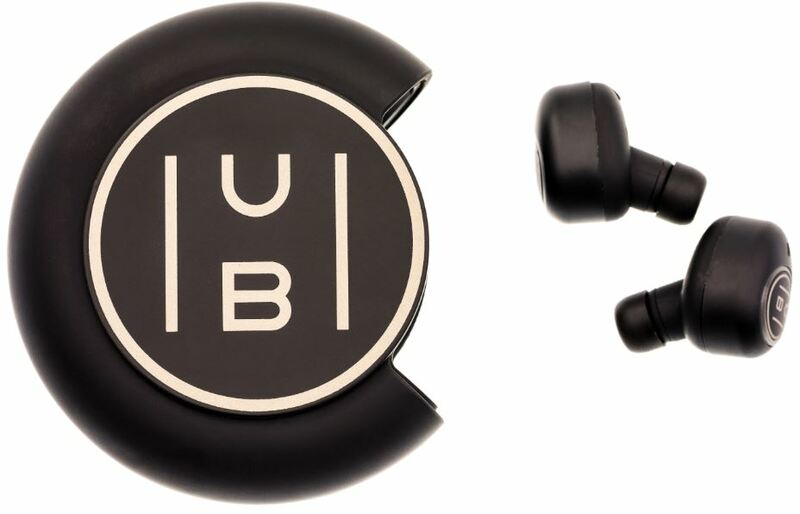 HUB HiFi Wireless Earbuds, as well as their charging case, were constructed to be IPX5 weather resistant. That’s one of the weaker resistance ratings. 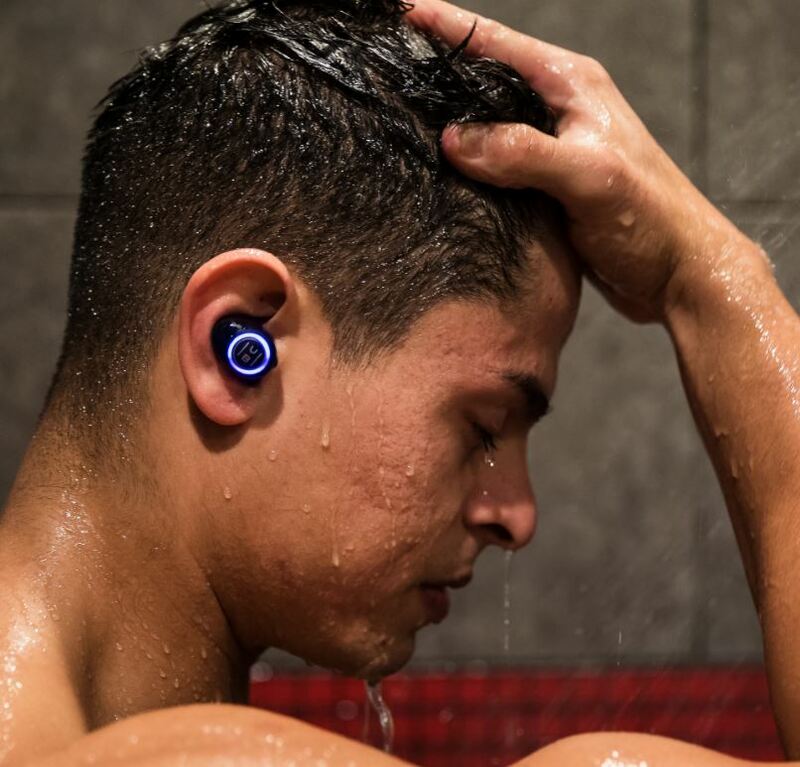 It indicates that a couple drops of rain or sweat won’t be an issue, but you don’t want to try submerging these earbuds under water. Unfortunately, that’s where the special protections end. You don’t find any shock proofing for the case. Even though it’s made of ABS plastic, which is inherently a bit shock-resistant, dropping this case in a parking lot will almost certainly lead to superficial damage. Assuming you can stop yourself from dropping it, there’s plenty to like about the case. It can be charged either wired or wirelessly. More often than not, charging cases end up looking cheap. But this charging case distinctly looks like its own device, not like some kind of added accessory that was slapped together with the buds. Each bud is magnetically attached, such that you’re able to turn the case upside down and shake it, and the buds still remain in position. Though if you were to shake it with violence and vigor, you can force them to fly free. For configuration, HUB provides a touch control system. It allows you to you play or pause tracks, skip between them, change volume levels, answer calls, address your voice assistant, or activate the ambient noise mode. Because there’s only a total of six commands, it really doesn’t take long to master using this system. But if the touch control system isn’t your thing, you can still do all of those things through voice commands, after you’ve undergone some configuration. HUB’s ear tips were specifically designed to provide a tight seal, serving as a protection against ambient noise. It includes three ear-tip sizes, and a set of replacement tips for each size. It’s definitely worth taking a couple minutes to try out the different sizes and see what feels natural to you, though about 80% of all people will find the standard medium sized tips to be ideal. When it comes to athletic activities, it really helps to have some extra security for the earbud. For instance, an ear-hook to latch over the top of your earlobe. Because you don’t want your exercise to cause the earbuds to pop out of your ear. Even being slightly dislodged can break the noise isolation that’s essential to the way these earbuds were designed to electronically filter noise. After you’ve taken the time to choose the right ear-tips, you ought to find these earbuds sit firmly during motion. Though they’re not specifically for athletic activities, regular motion still confidently remains within their wheelhouse. Individually, each earbud can last about 8-hours before it needs to be returned to the charging case. Of course, that estimate assumes you’re indoors and using modest volume settings. When you enter cold environments and begin to blast your music as loudly as possible, you may find that playtime teeters closer to the 6-hour mark. If you’re doing nothing but taking calls, you might expect to reach 110 hours. It might be worth noting, most earbud charging cases offer closer to 25-40 hours of battery life. Even when you look outside athletic earbuds, you’ll still find charging cases rarely exceed 50-hours. That makes this case at least two or three times superior to most rivals. You’re able to draw 12.5 earbud charges from the case, which totals to about 100-hours of playtime. It could be slightly more or less, but that estimate isn’t far from the mark. Because the case battery is so large, it does take a while to recharge. The exact time partially depends on the cable and USB port which you use to charge the case. Provided that you’ve got all of that in order, you can expect the charge to be about 3.5 hours. However, you can draw a partial recharge rather quickly. It takes about fifteen minutes to restore three hours of battery life. The case can also recharge your other electronics. But you don’t necessarily want to start using the case as a charging station. If you’re using a flagship series smartphone, then your phone will almost certainly have an enormous battery. For a phone like that, you could easily empty half the case in a couple of minutes. Once your phone gets involved, you won’t have 12.5 earbud charges anymore, you’d be lucky to get five or six. HUB’s audio is constructed with the help of relatively small 7mm neodymium drivers. 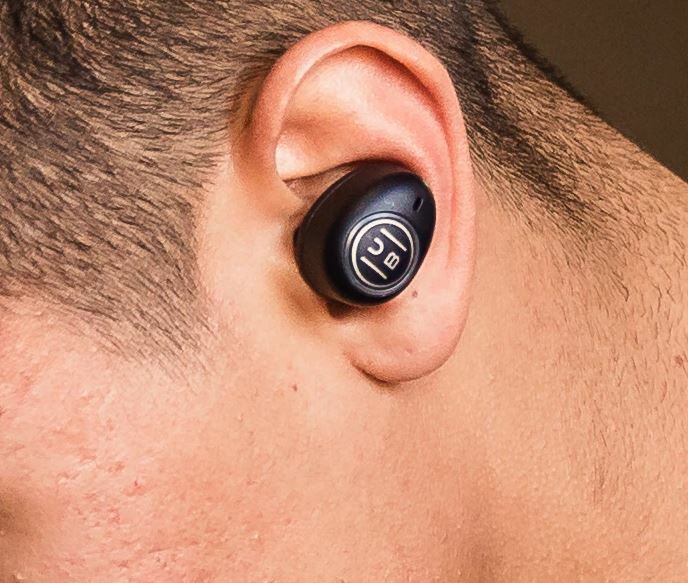 The size of those drivers has a significant relationship to the battery life of these earbuds. The underlying technology was originally developed by engineers from Bose and Harmon Kardon. Even though HUB didn’t invent these technologies, they’ve been able to use them just as impressively. There is one raincloud on the horizon. The HUB: HiFi Wireless Earbuds aren’t capable of getting very loud. Most people don’t actually use the highest volume settings on their earbuds. Even when people do, it’s often for only very short periods of time. Which is a good thing, considering it’s quite easy to damage your ears with loud music. But these earbuds can’t reach those ear-shattering levels of output. In large part, the sound experience these earbuds offer is a direct consequence of ambient noise protection. These earbuds have two modes which let you affect noise, a pass-through mode, and an ambient mode. The pass-through mode allows ambient noise to be heard, which is great for when you need to stay in touch with your surroundings. However, it doesn’t just let through any ambient noise. It actually works to reduce background noise while amplifying speech. It’s supposed to help you chat with someone as though you were the only people in a room. Rather predictably, one mode is friendly towards ambient noise, and one mode is not. And you can switch between these modes with just one tap. For the most part, active noise cancelling technologies are used indiscriminately. Meaning they attempt to reduce all noise, as much as possible. HUB HiFi Earbuds do not eliminate noise indiscriminately, rather, it tries to eliminate everything except conversations. Traditional ANC technology is actually pretty weak when it comes to scrubbing mid-tones, and consequently, it’s pretty weak at eliminating voices. HUB’s noise cancellation leans into the weakness inherent in ANC, and instead designed their earbuds to permit voices to come through clearly. HUB: HiFi Wireless Earbuds deliver instant pairing as a part of Bluetooth 5. That’s also responsible for the perfect audio/video sync as you watch movies, and all the various HD audio codecs which are supported by the HUB. But that’s really par for the course. What’s a little less common is how HiFi Wireless Earbuds have a stereo call feature, which lets you take calls in both ears. That sounds like it should be a pretty basic and standard feature, but for true wireless earbuds, it actually requires a lot of trickery to pull off. Which is why it’s still pretty uncommon for true wireless earbuds to offer stereo calling. These earbuds were constructed around dual beamforming microphones. That’s ideal for helping capture the directionality of sound. They’re also supported with cutting edge CVC noise cancelling technologies, which works to ensure whoever is listening to your voice is able to hear it with clarity. The results really speak for themselves. Though it would be an exaggeration to call it business-quality calling, it gets incredibly close. Functionally identical until you enter extremely noisy environments. It’s also worth noting HUB HiFi Earbuds are compatible with Siri and Google’s voice assistant. But you won’t find comparable support for Microsoft’s Cortana. Apart from the various silicone ear tips and replacement ear tips, you receive a micro USB charging cable for the case. Though you can shove it in a drawer if you decide to charge the case wirelessly. Who Should Choose HUB: HiFi Wireless Earbuds? HUB HiFi Wireless Earbuds is a pretty unusual kit. When it comes to essentials like audio quality, comfort, and portability, everything is well handled. But these earbuds are really defined by their special ambient noise blocking technologies, and their special charging case. It’s probably a bad idea to think of the charging case as a real portable power station. If you really need a battery pack, you should just carry a battery pack. But when you’re in a pinch, having the case as an option is nice. 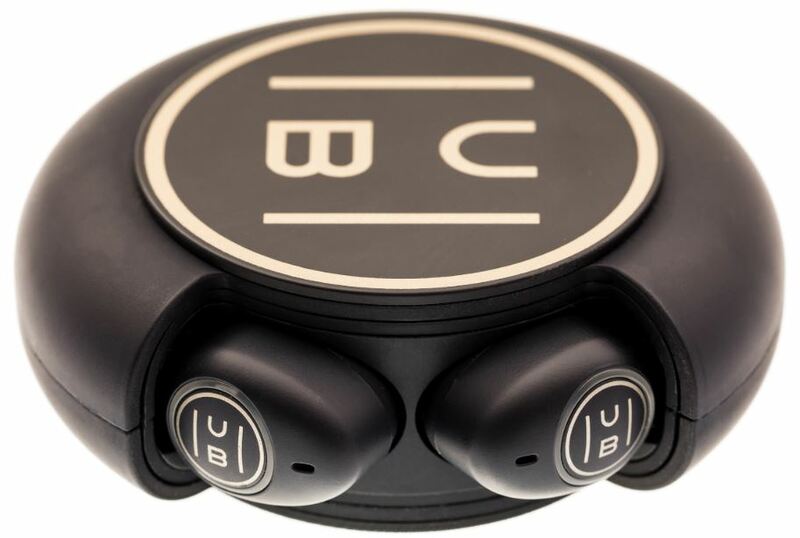 If you can make use of ambient noise blocking that lets through voices, if you value call clarity, and if you value a powerful battery, then the HUB HiFi Wireless Earbuds are going to be an outstanding choice. If you only care about one of those things, then you’ll probably be able to find more compelling headphones elsewhere.